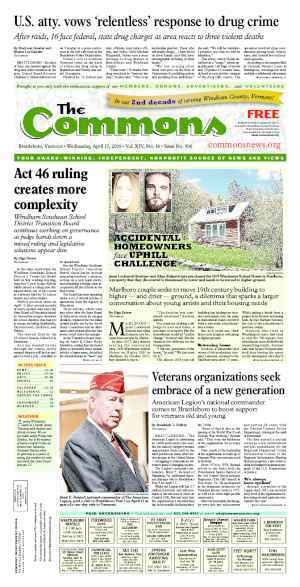 VERNON—Due to the change in the law-enforcement contract between Vernon and the Windham County Sheriff’s Department, both parties must now strategize how to schedule coverage. 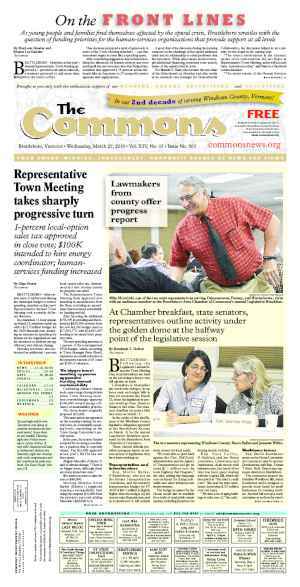 At this year’s Town Meeting, voters opted to decrease from round-the-clock service to 20 hours per day. 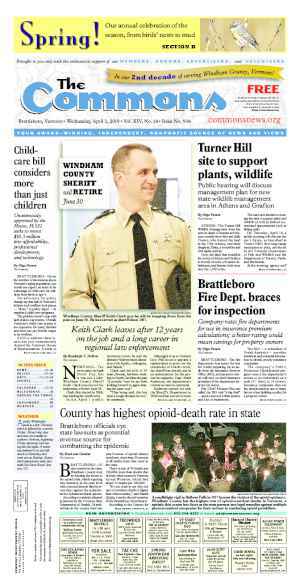 Windham County Sheriff Keith Clark and Lt. Mark Anderson appeared at the April 4 regular Selectboard meeting to work out the new patrol plan. “We don’t want to schedule four-hour blocks and say, ‘There’s never anyone on from two-to-six in the morning,’” Clark offered as an example. Those night-time hours are generally busy ones for Clark’s deputies, he said, offering DUI stops as one example. Board member Steve Skibniowski told Clark he prefers to “keep it randomized." This way, Skibniowski said, “people who don’t need to know this kind of thing, and shouldn’t know this kind of thing, don’t know this kind of thing." “I trust that we’re getting our money’s worth out of you, and would be opposed to getting involved in your scheduling,” he added. Board Chair Christiane Howe said she agreed with Skibniowski. Clark assured town officials that even during the daily four hours when his department does not have someone out actively patrolling Vernon, there will be a deputy nearby in case a call comes in. Instead of adhering to a strict 20 hours on/4 hours off schedule, Clark suggested his department follow a monthly plan of approximately 600 hours’ service to the town. Anderson explained that the monthly allotment will allow the deputies flexibility. He said there is no way of knowing when emergency calls will come in from the town, or when deputies must assist the Fire Department. If the Sheriff’s Department is working from a monthly schedule, they can alert the Selectboard if the town is about to run out of hours, and decide how to proceed from there. “It gives the town a level of protection we think is beneficial,” Anderson said. Howe said the Board “has to go by the people’s wishes” of 20 hours per day as voted on at Town Meeting, but she said the Board will “vet this through the [town] attorney” and revisit the issue at a future Selectboard meeting. She offered May 2 as a possible date. But, that’s not the only change in law-enforcement for Vernon. Anderson also made an appearance at the March 21 regular Board meeting to introduce Corporal Melissa Evans ― and to bid the town adieu. After just under two years serving the town, Anderson is taking a new assignment with the Sheriff’s Department. Evans is his replacement. “I’m not disappearing,” Anderson said, adding, “I’m just taking on different capacities." In introducing Evans to the Board, Anderson said her former beat was Putney, “where she has a phenomenal reputation for interacting with the community." 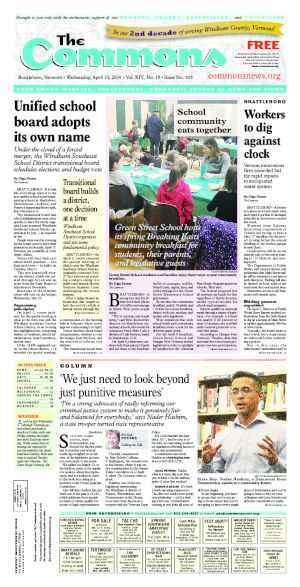 “I think she’ll treat Vernon very well with her community-oriented policing method,” he added. Howe welcomed Evans, who then went to each Board member and shook their hands. Howe thanked Anderson for his commitment to the town. He returned the acknowledgment and said, “it’s been a wonderful time. I’m leaving with some sadness." “Many people here have benefited from your perseverance,” Skibniowski told Anderson.